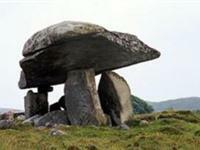 The Kilclooney Dolmen is an exceptionally fine portal-tome or dolmen, prominent on the skyline 6.5km north-north-west of Ardara in County Donegal. The Owenea River runs for 13 miles draining Lough Ea in the west of the Croaghs, into Loughrosmore Bay at Ardara, County Donegal. 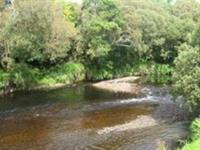 The river has a run of spring salmon, grilse, sea trout and has a resident stock of small brown trout. 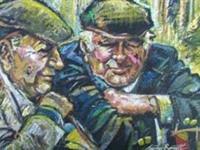 Take the opportunity to visit professional painter Stephen Bennett at his studio gallery, in Ardara County Donegal. The gallery houses Stephen’s latest original paintings which include figurative works and landscapes. 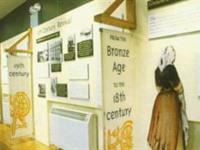 Ardara Heritage Centre, in Ardara County Donegal, tells the story of Donegal tweed from the shearing of sheep to the manufacture of the woven cloth. Malaidh Ghleann Gheis is a high pass with elevated views over Loughros Beg Bay, framed (North and South) between the steep sided Ghleann Gheis and Mulmosog mountains.